Adult male Spruce Grouse in a birch. 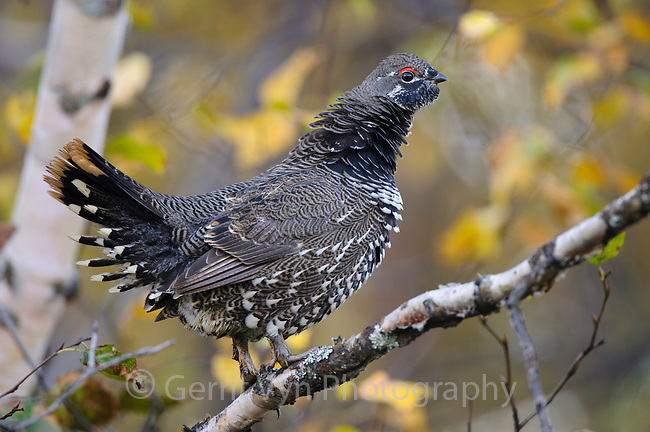 As winter approaches Spruce grouse spend more time foraging in trees. Central Alaska. September.